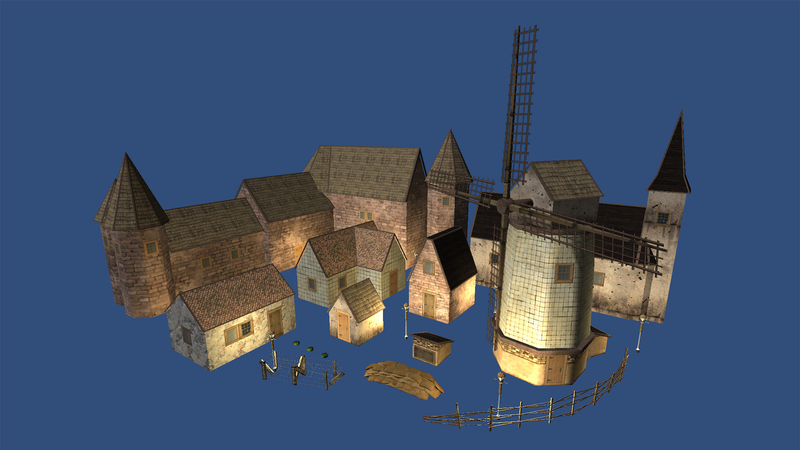 These are the basic town and defense assets made for Black Howler Studios' game, No Man's Land. These are the basic town assets I created for the environment in No Man's Land. I used stacked UV sets and tiling textures for the buildings rather than the typical packed UVs used on single models like a character. 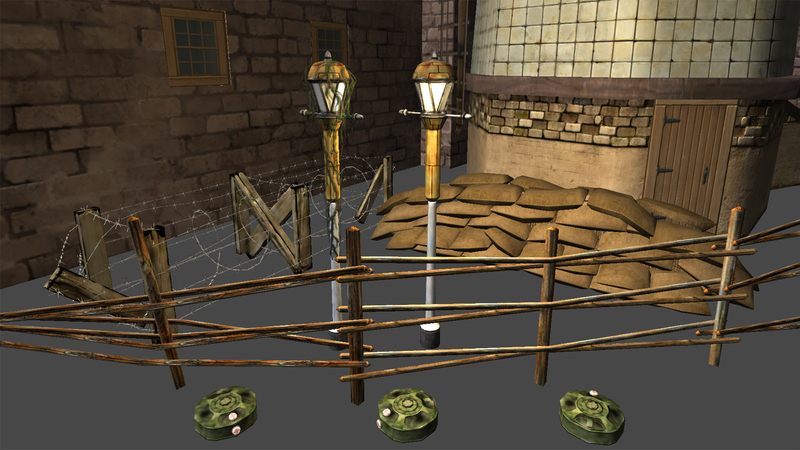 Here are some of the smaller town and defense assets: Barbared wire, Sandbags, and Anti-tank mines.